This is my first feature interview on the blog and what a treat it is! You might recognise Esosa from the hit web series An African City. 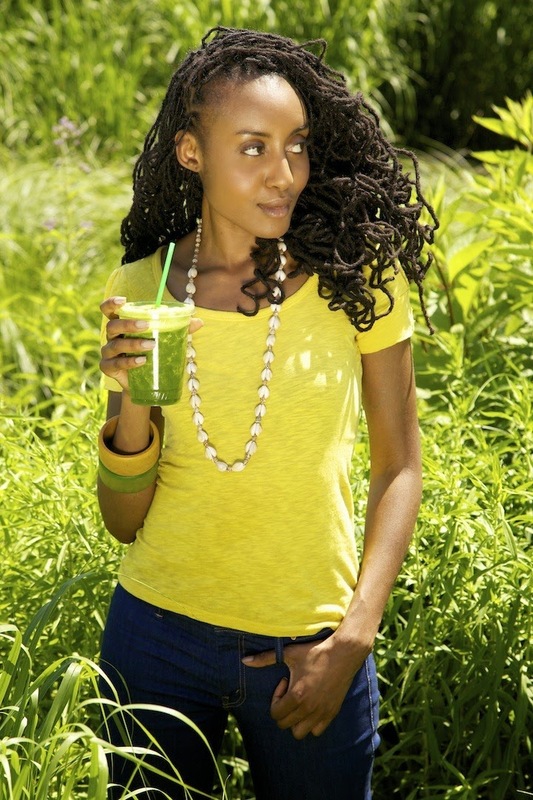 Keep reading to find out more about the talented actress/writer/model, and her raw vegan lifestyle! Hi Esosa, can you tell us a bit about yourself? Sure. I am Nigerian American and my family hails from Edo State, 5’10 tall, I act, I write in a range of forms including creative storytelling and informational health articles etc., I make movies, sometimes design clothing and model. The thing I am most passionate about is living into my purpose. What drives me is the fear that I will not utilize all of the talents God gifted me with. Every day I try to push myself to be a better version of me, and to do work that resonates with why I believe I am on the planet. How long have you been a vegan, and what motivated you to take the extra step towards raw veganism? I believe I was around thirteen when I gave up meat, so now it’s been over ten years that I have been vegan. After being vegan for a long while, in college I started to get sick a lot because of improper diet coupled with stress. 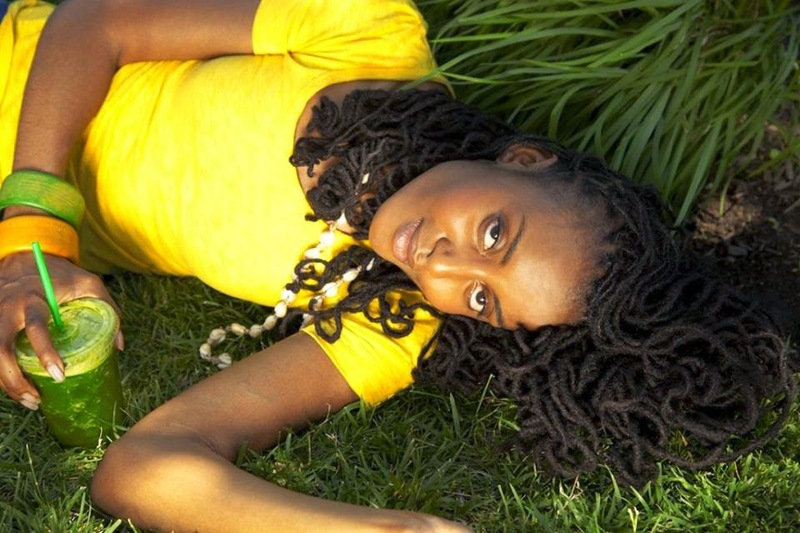 I learned about the raw way of living from a cousin I went to visit and the idea stuck with me because she was a raw foodist and was so incredibly youthful, energetic, and passionate about life. It wasn’t until a year later, when I was consistently feeling fatigued and had a stubborn case of acne, that I finally went raw. For those who might be sceptical about the benefits of adopting a plant-based lifestyle, can you share some of the positive changes you’ve experienced throughout your vegan journey? There are so many but some of the primary benefits include: clear skin, increased energy, sleeping less hours and still feeling rejuvenated, maintaining health and avoiding sickness, mental clarity, and an increased inclination to explore spirituality. What would you say are the major challenges of being a raw vegan? Raw veganism can be really difficult to sustain, especially if you are rigid and focused on staying 100% raw in any situation life throws you in. I have never been a fan of rigidity and everything changed for me when I learned to go with the flow of life and eat the best food available to me at a given time. I love eating as much raw as I can, but if I am in Africa, travelling extensively or even if I just feel like my body needs it, I will eat cooked food that is vegan. It’s really important that you find what works for your body. No diet is meant to be for everyone; we are all too genetically unique to conform to fad diets for the sake of doing so. If you listen to your body, you cannot go wrong. I do however believe that all of us should work to completely eliminate processed franken-foods, GMO’s, and toxins from our diets as much as possible. If you are already dealing with a serious condition, it has been proven scientifically that adopting a plant-based diet can heal numerous diseases without invasive procedures or heavy medications. 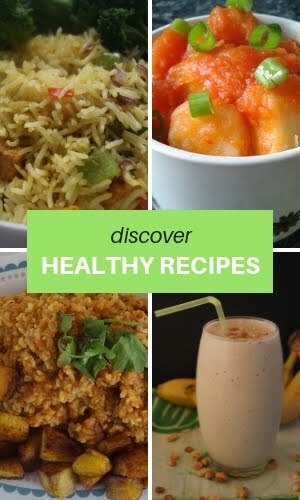 Your blog and YouTube channel contain some mouth-watering raw recipes such as Raw Tacos and Coconut Macaroons. What does a typical day look like for a raw vegan (breakfast, lunch, dinner, snacks)? It really depends on the day for me. I’m up very early around 5:30 most days and usually writing by 6 or 7 am. I generally don’t like to eat a heavy breakfast and I don’t eat until a little later in the morning, but I will drink a lot of water to get the day started. Some things that are great for breakfast that are raw: raw oatmeal w/ nut milk, green juice, fruit smoothies, green smoothies, fruit alone, chia pudding, and coconut water. I always try to get in something fresh and green, whether it is a green juice or a really large salad with tons of veggies. You can check my blog for inspiration on meals you can prepare for lunch and dinner, but if you are a busy body like me, you will learn quickly to keep it simple. Fruit is fast food, salads are quick, smoothies are even quicker and great because you can pack them with superfood supplements. Those are my staples, and everything else is for when I have additional time and creativity. I also love to go out and try gourmet raw restaurants. I also always have go-to desserts that are really fast to prepare like coconut macaroons or raw chocolate mousse if I am having a craving for sweets. Remember, if you are experimenting with plain vegan (cooked) dishes, you can pretty much make anything you would make normally minus the meat or dairy. For example, there’s a great recipe for banana french toast on my blog, completely egg-free and delicious. 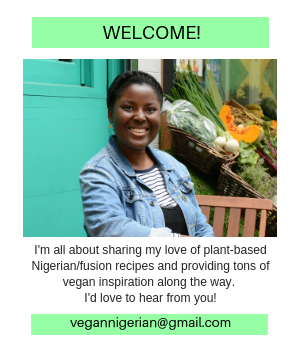 Can you share a raw vegan recipe inspired by a traditional Nigerian dish with us? I have yet to create a raw recipe inspired by a Nigerian dish; although I have thought about it. It’s a little difficult because of the ingredients we use and how heavy we cook our food! But I have made a vegan version of Egussi that is delicious. I have to save that recipe in my arsenal because I have plans for it. Akara is technically vegan, and it’s easy to make a version that is much healthier if you fry them in coconut oil. You must have such a busy schedule as an actress/filmmaker. How do you stay fit and what is your favourite exercise? I generally try to mix in weight training, cardio, and yoga. Sometimes one aspect falls to the way side. For instance at the moment I’ve been in super yogi mode and practicing hot yoga two to three times a week. In the near future I want to do more pilates. One of the things I love about An African City is the fact that your character, Ngozi, is a vegetarian. Did you have a hand in deciding this aspect of her character? No, I didn’t. I was at lunch with the brilliant creator of the show, Nicole Amarteifio—she’s like a sponge, you have to be careful what you say around her at all times because it could end up in a script. I was ordering my meal (in typically Ngozi fashion) and she just had the idea right then to make her a plant-eater. The raw food thing was way too extreme for Africans to grasp, so I think she was smart to go with vegetarian. 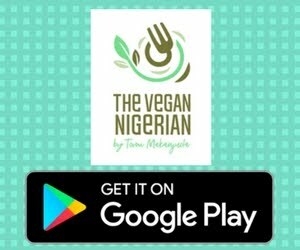 Do you think that the concept of vegetarianism/veganism needs to become more widespread in Africa? Why/why not? I think it would be great if it did, mostly to bring awareness and knowledge of healthier food options and the ability to cure many common ailments with diet. As more fast food options and genetically modified crops are finding their way into African countries, there will be more people contracting diseases like diabetes and cancer. Africans have some of the most potent healing herbs and plants on the planet and we should be using them. Many of us also eat way too much white sugar, white rice, white flour, and foods heavily fried in unhealthy oils. I believe that the health of a nation determines its destiny; the more educated we become as a people about health, the better Africa and its countries will become. 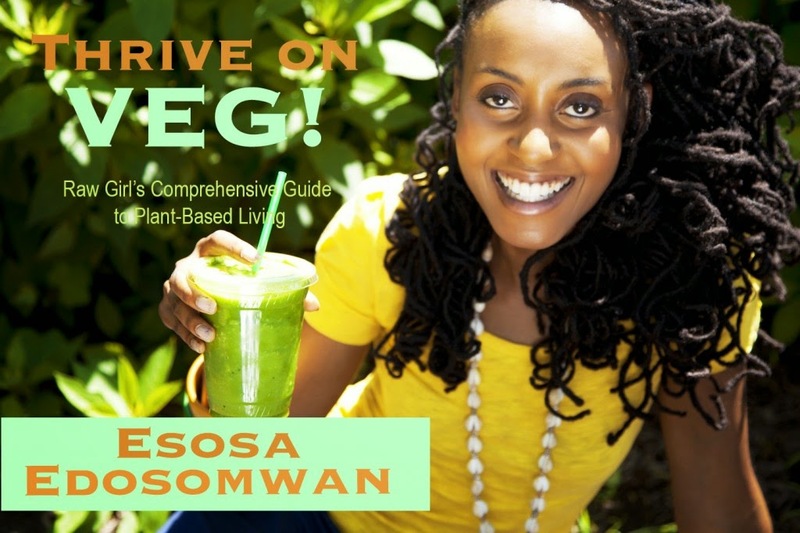 You have a new e-book Thrive on Veg! coming out soon, which will outline the ins and outs of embarking on a plant-based lifestyle. Tell us more about it! Thrive on Veg! is the resource that I wish I had when I was embarking on a plant-based lifestyle. 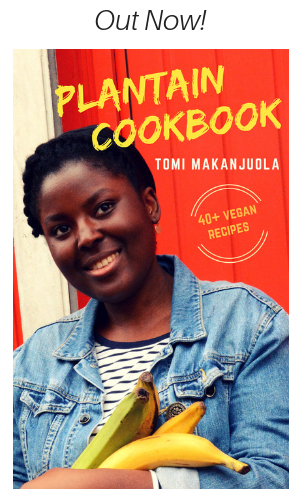 The goal of the book is to give a simple overview of the many variations of a plant-based diet, discuss the health benefits going VEG can offer, key nutrients needed to stay optimal, tips and tools for transitioning, how to set up your plant based kitchen, and recipes so that you can begin your journey immediately. My most recent draft of Thrive on VEG! is currently 75 pages, but I anticipate the final draft may end up being somewhere around 100 pages packed full of great information, delicious vegan and raw recipes (will be printable), and inspiring insights for anyone interested or curious about a plant-based lifestyle. The book is now available for pre-order on my health blog and will be released on October 15th. Finally, do you have any other projects coming up? Any new roles to look out for? 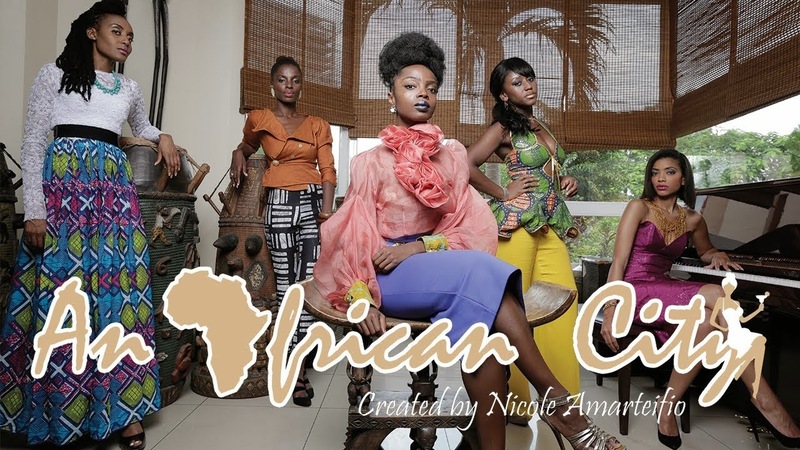 We will be back with a second season of An African City, so stay tuned to the Facebook page, Twitter etc. for updates and look out for more Ngozi! I have also been cast in a few additional projects, two feature films, and a TV series currently in development. For updates on my progress you can find me on Facebook. Thank you very much, Esosa. I am inspired by this blog. Please keep up the good work. I tried Eliminating animal foods from my diet for a year and I saw a remarkable improvement in my health as symptoms of athsma gradually vanished. Thank you so much. I'm glad to hear you've experienced positive benefits from this lifestyle - all the best to you!